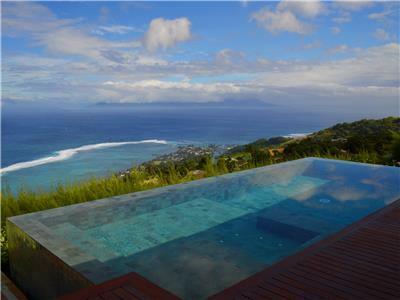 Studio Vaiana is located in a residence on the northern coast of Tahiti main island, French Polynesia. 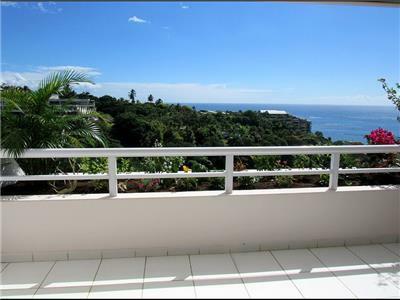 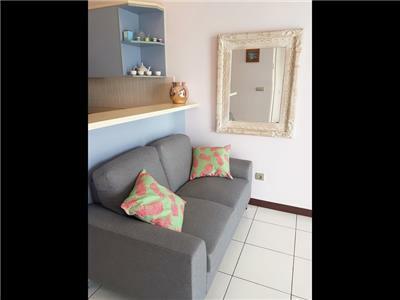 In the greater Papeete, it is conveniently situated nearby downtown and it is easily accessible from the main road (5-10 min drive from/to international airport and ferry docks). 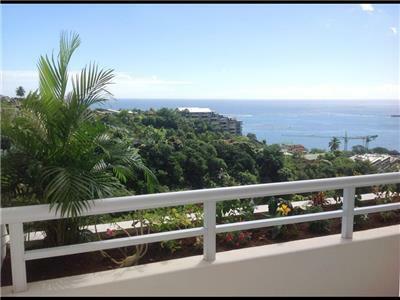 The hillside residence, named Grand Large, features community swimming pool and gardens accessible for free by our guests. 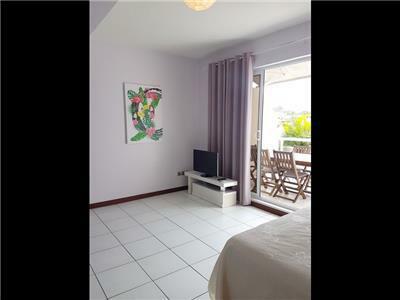 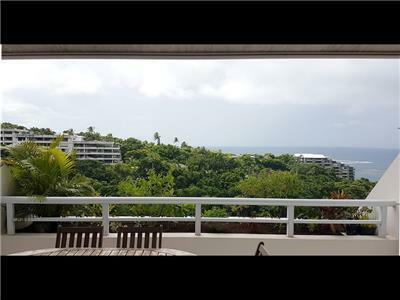 The Studio Vaiana is the perfect short term rental for holidays or business travels. 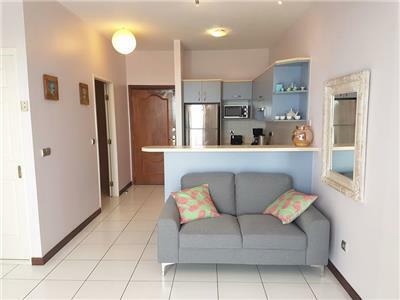 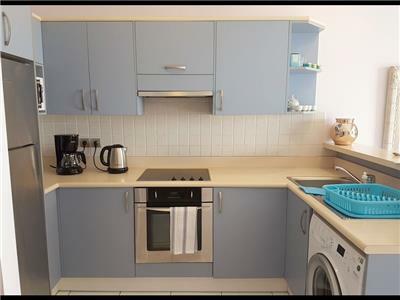 It offers one living room including a fully equipped kitchenette, a double bed, a sofa and a flat screen TV. 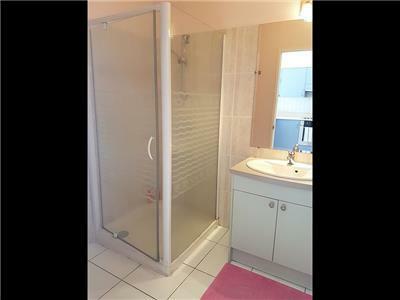 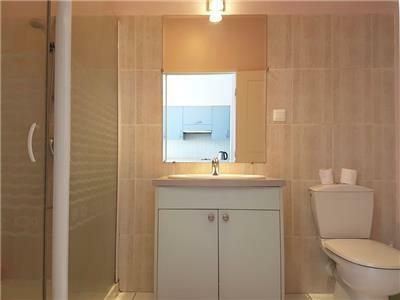 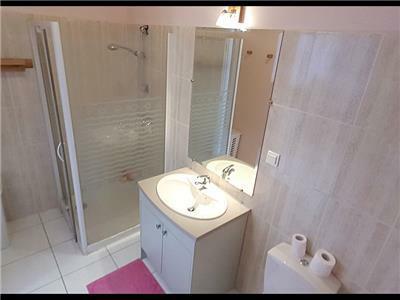 The bathroom features a shower, a sink and wc. 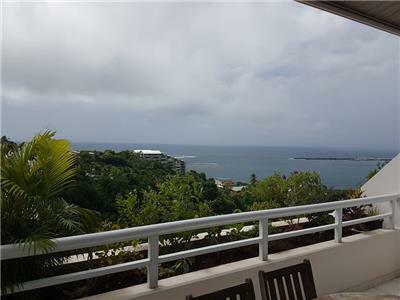 The living room opens onto a covered terrace with a dining table offers views on the mountain, partial views on the ocean and Papeete harbor. 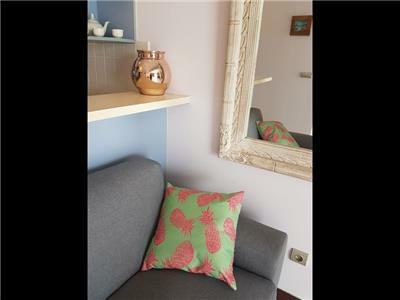 Recently renovated and decorated with taste, the studio welcomes comfortably 2 persons. 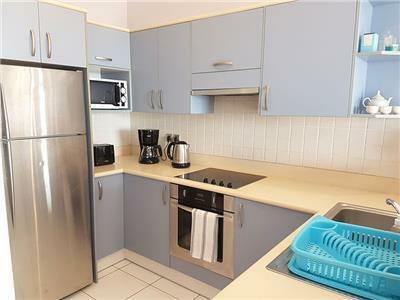 Air conditioning, private parking and free WIFI complete the amenities. 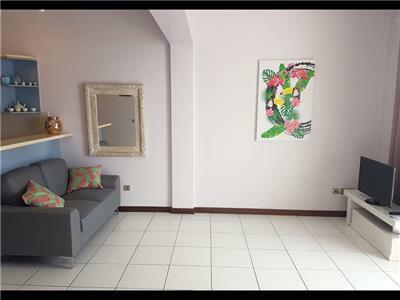 Lifts are available from the parking to reach the studio located at the second floor. 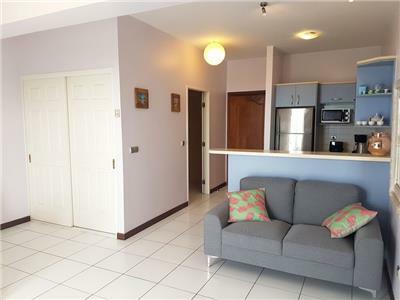 7 min drive from the ferry docks. 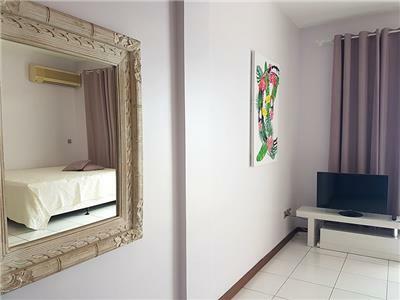 9 min drive from the airport. 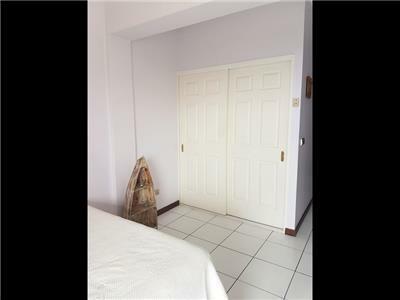 4 min drive from Paofai Gardens. 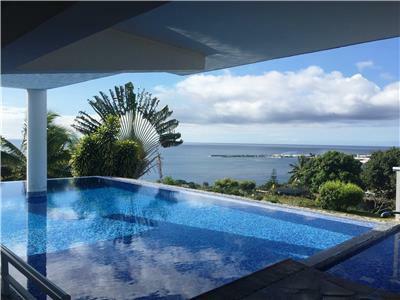 6 min drive from downtown Papeete. 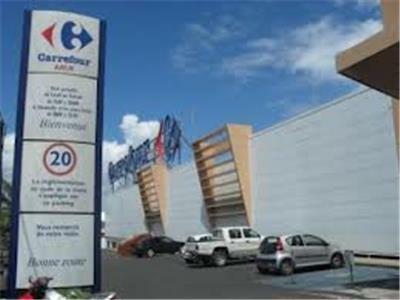 Carrefour Arue	 Shopping 3.25 mi. 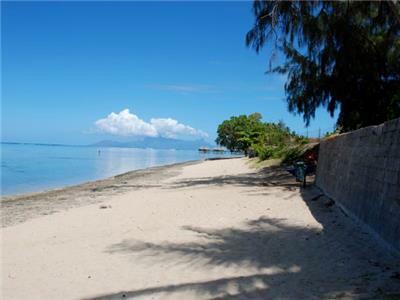 TOAROTO PK 15,5 - Public white sand beach	 All Seasons Attraction 6.50 mi. 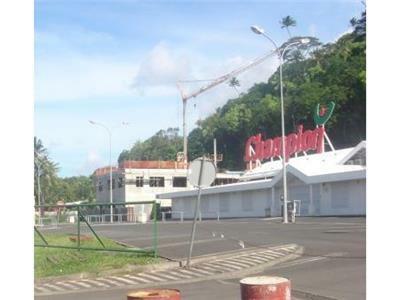 Supermarket "Champion"	 Grocery Store 6.63 mi. 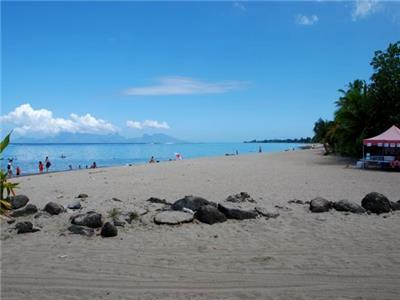 Public white sand beach also named as "PK 18"	 Beach 7.61 mi. 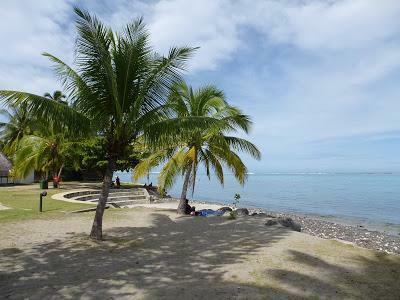 Mahana Park, Tahiti public beach	 Beach 7.91 mi. 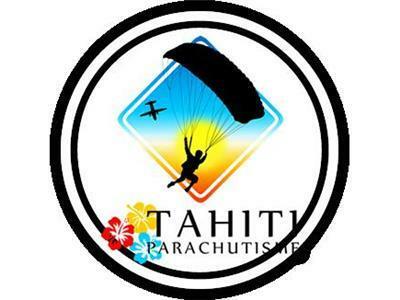 Skydive Tahiti	 All Seasons Attraction 12.62 mi. 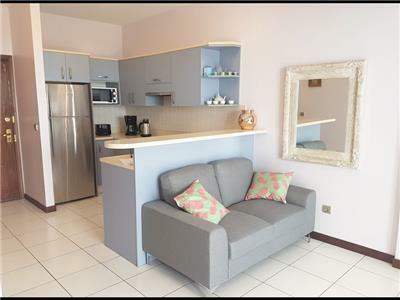 Sofitel Resort & Spa Moorea	 Hotel Motel 12.68 mi. 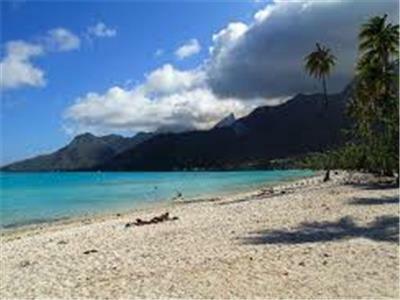 Tema'e public beach - Moorea	 Beach 13.08 mi. 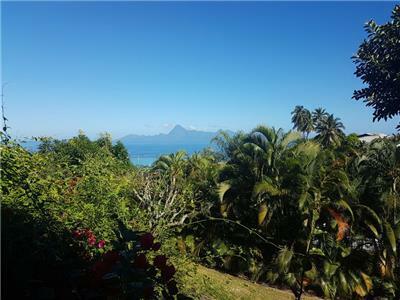 Domestic airport - Moorea	 Airport 13.08 mi. 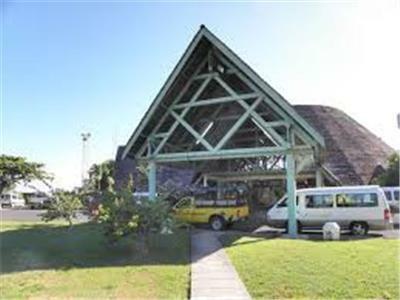 Ferry terminal	 Ferry Terminal 13.20 mi.